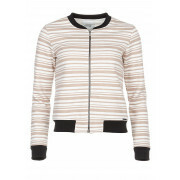 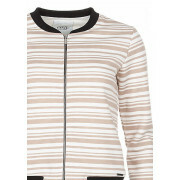 Add a cool casual vibe to your outer wear collection with the Mara bomber jacket from Tiffosi. 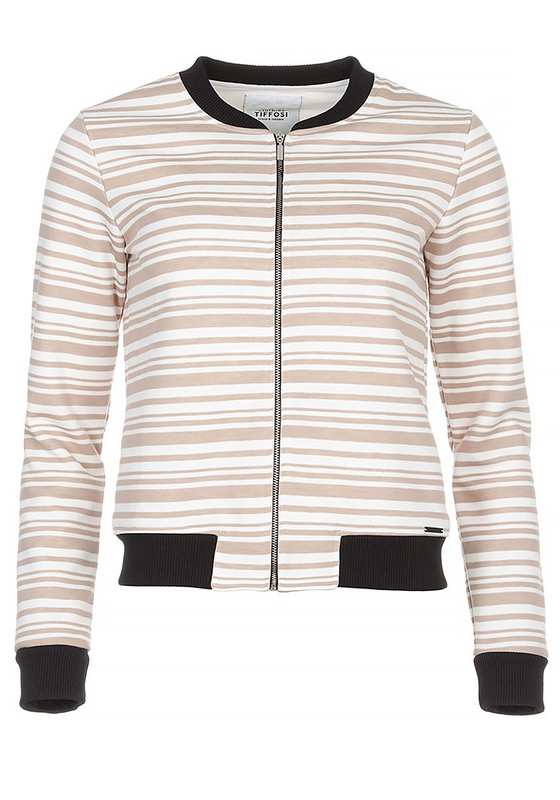 It is presented in a beige and white striped design and has contrasting ribbing on the neck, sleeve cuffs and trim with branded hardware on the trim. 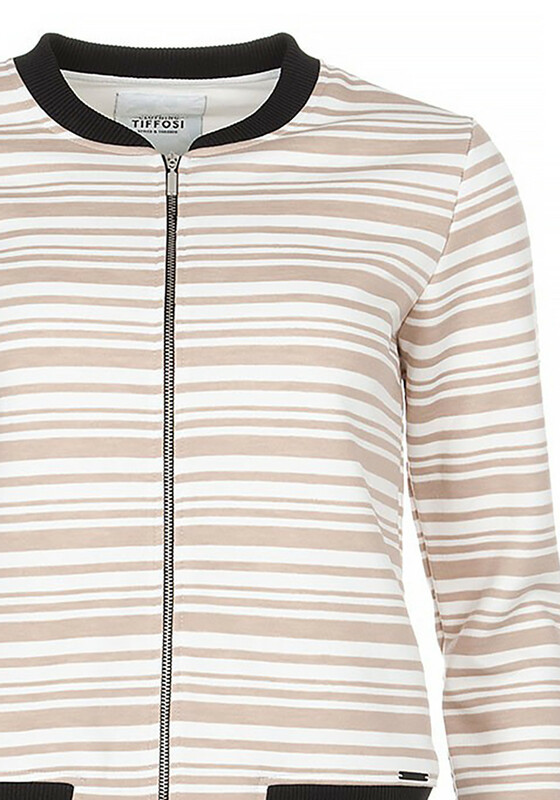 Team over jeans and tee for a chic daytime look.